So, can you reboot a writing group? Refocus it? Get its writers writing, again? It turns out, *spoiler alert*, you can. 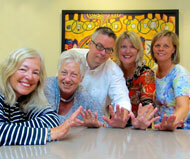 On June 13th, we all met and made our declaration of writing intentions. While not as impressive as the declaration of independence or a declaration of love, it did allow us to find a way back to writing, albeit via a winding, and somewhat meandering path. I don’t think a single one of us went home and wrote 50 pages. But, we did get writing done. Myself, I managed to get 32 pages done, mostly (due to my horrific tendency to procrastinate), in the last week. But before that, I spent time going back to the basics. Working on my characters, helped by my writing friend and published author, Sean Slater. More beautiful because of her flaws. Like me. I found that if I had a picture of my character, a whole ton of things fell into place for that character. When I looked at my protagonist’s sister, the one he rushes off to Europe to save, I saw a beautiful woman who didn’t like to smile because of her teeth. And from that, I built not a plot device, but a real person. 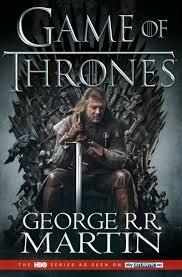 2) A book is defined as much by the villain as the hero. It’s something I’ve worked on a lot in the past, but it’s something I REALLY worked on this time around. Again, it started with an idea, I added a picture and then spent two days writing his life story, his fears and hopes, and his hidden secrets. 3) I stopped stressing about drafting the PERFECT opening line. I know it matters, I do. I get that. But I can spend weeks, I kid you not, trying to find that perfect line and still fail. So, I let got of that and just wrote. 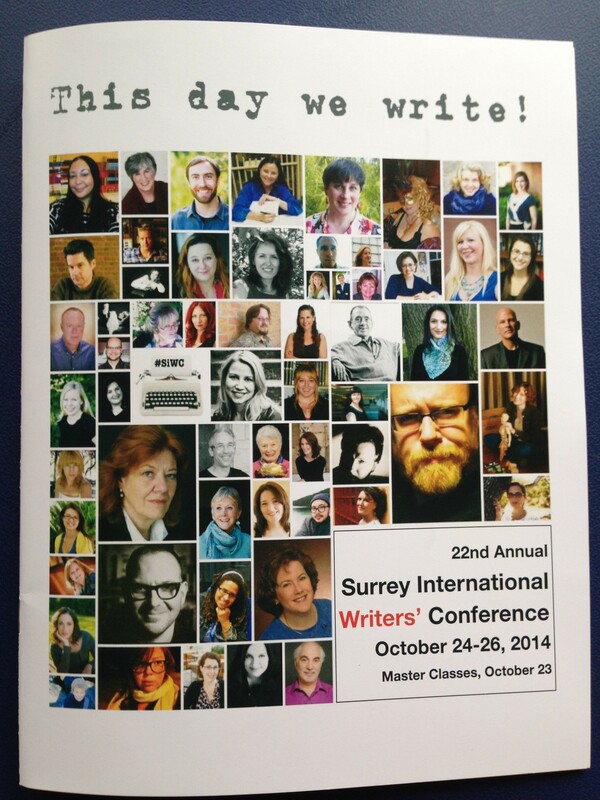 4) I signed up to attend the Surrey Writer’s Conference, and while that alone didn’t inspire me to write more, there is an editor there who may just be looking for the exact type of book that I’m writing. So that inspired me. (So, if you’re thinking of going, know that we’ll be there. At least 3/5 of the 5/5/5). 5) Like playing tennis after not playing tennis for 25 years, it’s hard to do. You get rusty. Nothing flows. There’s lots of sweating and swearing. But if you keep at it, you’ll get better. Faster. Stronger. Like the million dollar man. Personally, I’m not there, yet, but if I keep at it, I have to believe I can get there. So that’s a quick update. The day is finally here. 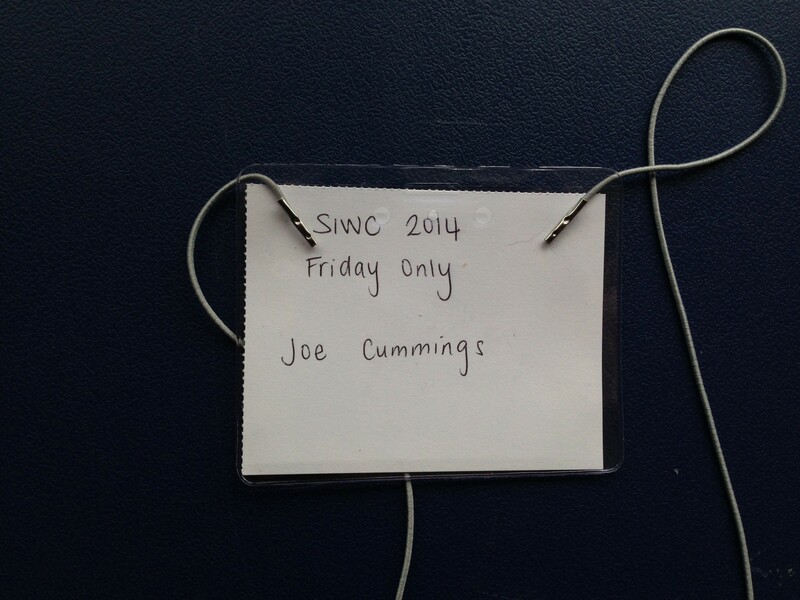 SiWC 2014. I wish I could have attended all the days, but I couldn’t so chose to hit up one day in particular. Friday. Learn more about social media. Bug people about social media. Tweet something. Figure out if I actually tweeted something. Read someone else’s tweet. Say tweet 20 times. Oh and have a bit of fun and learn something new from Don Maass. My first thoughts of the day were, why did I have to have a crappy cold right now? My second thought was is everyone having as hard a time as me figuring out how writers use social media effectively? I mean, really, none of this should be hard, so is it just my age, my deteriorating brainage or is it really kinda complex? Well, I had the right people to help me understand it. I’ll talk a bit about them in the next post, cuz, you know, I’m like that. In my novels, I’d call it a hook. 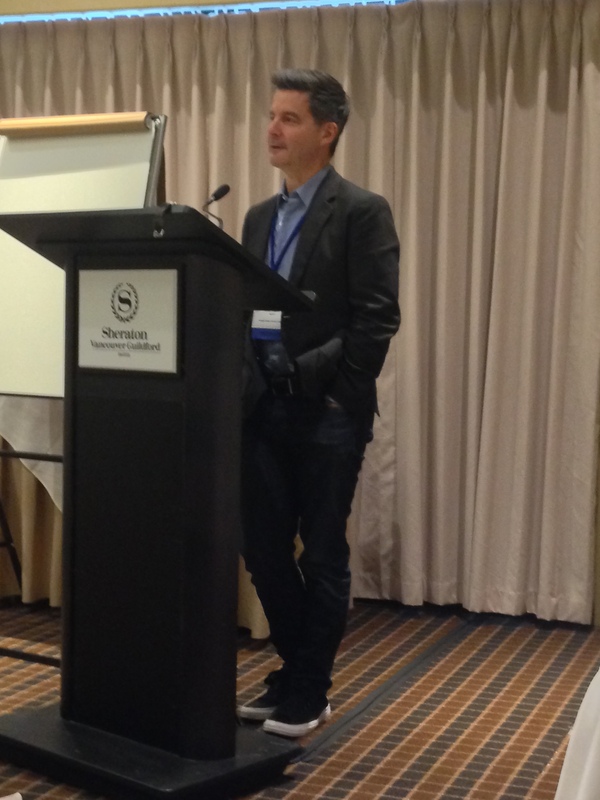 Here, it’s just me being a bit of an asshat because I want to give everyone an idea of the SiWC experience. So, yeah, for the first time in a long time, I wasn’t nervous at all. Nothing to pitch. No agents or editors to see. Just me learning and having some fun. Having not registered ahead of time, I had to get in line to buy a day pass, a huge extra- large cup of Timmies in my hand. (Double-double, thank you very much). Day-passers are kinda like brussel sprouts at a turkey dinner – I’m not sure anyone really wants them. Case in point, we don’t get dinner. I do like a good dinner. I got my high-tech name badge and fancy wrist band and marched off in search of a blue-pencil mentor. For those who don’t know, the blue pencil meetings are a chance to sit down with someone who’s ‘been there and done that’, and made a living at it. Usually you bring a bit of writing and let them read it so they can help you better understand what’s working and what’s not. Sometimes you leave in tears, sometimes with great insights. In my case, though, remember, social media focus. So I lucked out and found an opening with, oh, crap, almost gave it away. No, I’ll tell you tomorrow. After signing up at the blue pencil, I went to listen to the opening keynote speech in the grand ballroom. With minutes to spare before the speech, I took a look at my thick-as-a-yearbook guide. It had a great title, the guide did. Which I love, but which was probably not exactly accurate for the day. Or the next 3 days. Maybe these 3 days we listen and then, THEN we write. Dammit! (I would have added the dammit for sure.) I’m honestly not sure anyone got a lot of writing done, but the idea still works. I may put that sign on my dog to remind me what I have to do. 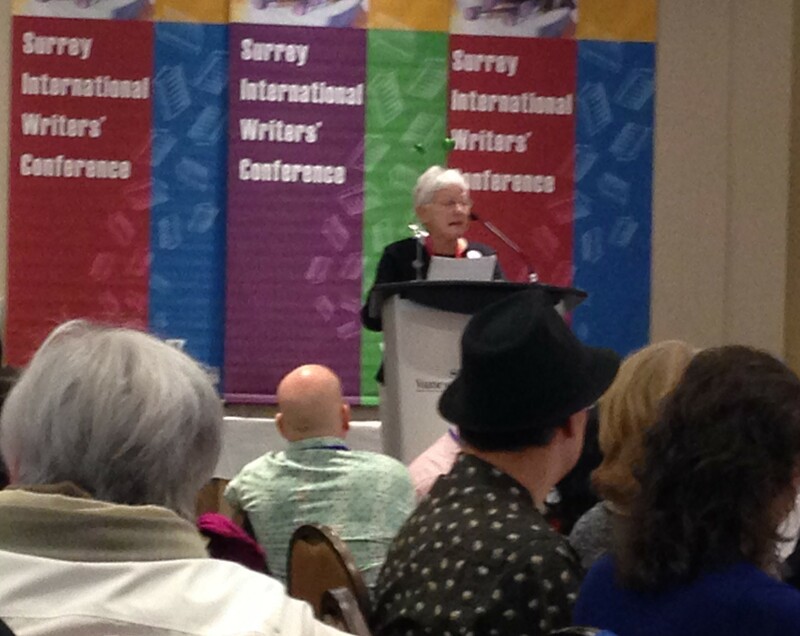 Anyway, if you’ve never been to SiWC, it’s quite the thing to walk into a ballroom filled with writers. The only odder thing might be a room filled with cosplayers or lion-taming tax accountants. It’s a huge room filled with people, the vast majority women, who have gathered to learn more about writing, to discuss what they are working on, to connect with the writing community, and maybe even pitch a book or two to agents and editors. Old, young, tall, short, hats, no hats, suits, shorts, t-shirts, glittering black blouses, sandals, high heels, tattoos… man, if you ever wanted to get some great characters for a book, you just have to go into that ballroom, but more than all of that, it’s a room full of people who say, proudly, I’m a writer. Carol is just one of those people who lights up a room, someone who never seems to take herself to seriously and always finds something funny to talk about. She was in fine form today and started the conference with a laugh. He told us to ignore what everyone tells you about writing. Have fun. Write what you love to write. I loved to hear that because my next project is likely going to be a pure labor of love. So, tomorrow, the whole social media smack down. Wow, did I ever learn some cooooool stuff.